Long-term Care Insurance will pay for in-home care or assisted living. There are certain qualifiers that must be met and our team can assist with making sure you are approved. You can also convert certain types of life insurance policies to cash to help with the cost of care. 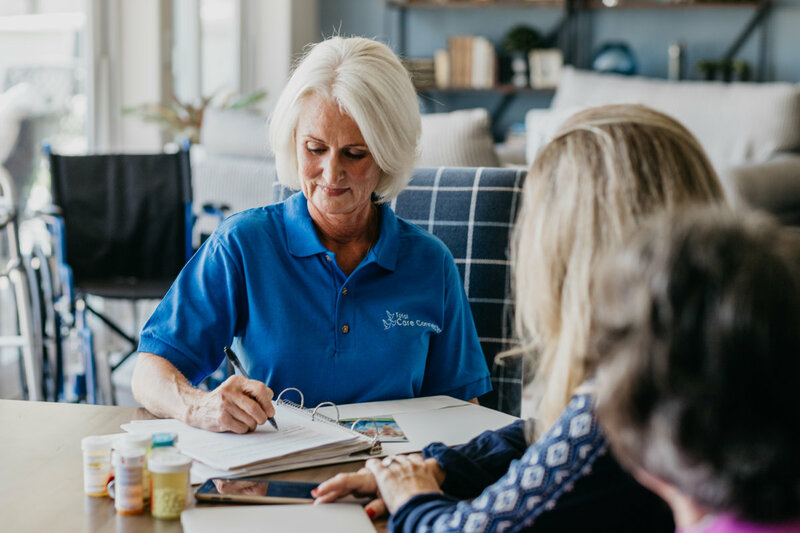 Total Care Connections is a contracted provider for the Veterans Administration and we can assist you with determining what home care benefits you can quality for. If you were involved in a work-related accident that has caused your need for care at home, you may qualify for home care services through your company’s worker’s compensation insurance program. Reverse mortgages were developed originally by the U.S. government specifically to help seniors (originally widows) stay in their homes until the end of their lives. This program allows for seniors to use the value of the equity in their home to pull out cash. You can receive these funds either in one lump sum or through monthly payments. A reverse mortgage gives your loved one the ability to stay home and receive the care that he or she needs until the end of life, even if by that time the loan balance exceeds the home's worth. After utilizing any other funding options, families can pull together funds to cover the cost of care. This can be done by splitting the cost among siblings, selling certain assets, and cashing out stocks or bonds. You care for the ones you love more than anything. So when your loved one can no longer care for them self, there’s nothing more important than finding a caregiver who will love and care for them just as you would. Our team of certified caregivers and licensed nurses have been serving families all across Arizona for the last 10 years. We know that you deserve the best when it comes to the ones you love. And that’s what you get when you choose Total Care Connections. When you need us. Where you need us. 24/7.